A FULL SERVICE DEVELOPMENTMARKETING PRINTING AGENCY. We will send you our media package and portfolio! 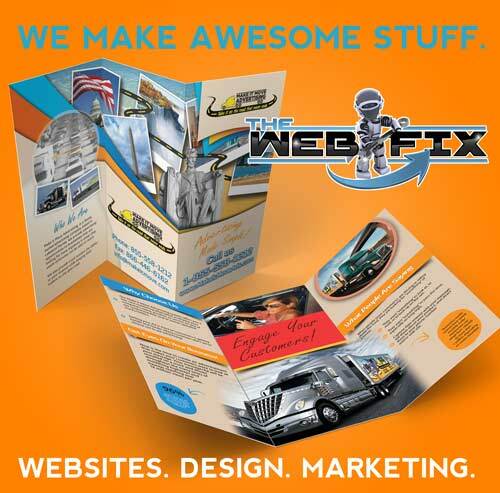 The Web Fix is a Full Service Marketing Agency based in Fort Lauderdale, FL. We create, develop and market for our customers across all industries from hospitality, service, art & entertainment, and non profit organizations spanning from the USA, Africa, Italy, Japan and back here to sunny South Florida! We have developed hundreds of websites from small to large, basic html to fully customized PHP CMS systems. The Web Fix printing capabilities have over 400,000 square feet of top-of-the-line production facilities, housing sophisticated hardware. Operations made bullet-proof both by streamlined fulfillment systems and redundancy of equipment. Our people-oriented operation is able to consistently deliver a golden trifecta. For questions regarding web development, print pricing, advertising or just to let us know how your day is going, toss your info below and one of our representatives will contact you shortly! The Web Fix offers full web development services including CMS systems, E-Commerce Websites, PHP Coding, Fully Responsive HTML5 landing pages, Internet Security and Complete Design to Development Website Creations. Our printing services include various options from Business Cards to Full Vinyl Wrapped storefronts. We handle the graphic design of your concept along with printing and installation. We offer a vast array of paper stock options from 70lb paper to 32pt stock for Presentation folders, Flyers for Direct Mail, Posters, Restaurant Menus, Stickers, Door Hangers & Promo Items.